It’s no secret I am a small-f “fan” of the Left Field Sauvignon Blanc. 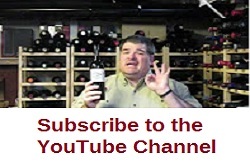 I discovered this wine back in the summer of 2017 during a tasting of wines from around the world – it was so good in fact that 1) it made my video series (here) and 2) I put the winery (Te Awa) on my list of must visits when I visited New Zealand in early 2018. As an aside, during that same tasting, which was done at home, I brought a glass up to my wife who immediately proclaimed it her “wine of the summer” – we purchased at least a case of the wine and with the new 2017 available we’ll be doing much the same. “Aaron calls them “Whimsical Creations”. They [are based on an] old Biology text book, the pictures have been re-illustrated by hand and various creatures have been mashed together to create new ones.” Aaron also incorporated the old windwill that is situated at the winery’s front gate into each illustration, and each creation has its own whimsical back story written on the label. “The Left Field Pinot Noir comes from Marlborough, while the Rosé, Pinot Gris, Chardonnay, Merlot, and Syrah are all Hawkes Bay fruit. Rosé and Pinot Gris, are sourced from cooler parts of the Bay; the Chardonnay and Reds tend to come off the Te Awa vineyard itself. Availability for these wines can be a bit of a problem here in Ontario. “Being single vineyard wines and produced in small quantities, the Te Awa Single Estate wines are mostly sold in New Zealand; the Left Field brand is a little more widely available. Our own LCBO carries two on the General List: Rosé and Sauvignon Blanc – but then I learned about something called the Products of the World Program – which might just change the way wine-lovers buy wine in this province. So I did little more digging and found Tod Stewart who has an awfully long title (Operations Analyst, Products of the World, Private Ordering, LCBO) – who was a wealth of knowledge about the Program. How many products are currently part of the program? So far there are more than 2,400 unique wines, spirits, beers, and liqueurs available for purchase via a combination of POTW destination stores and online, and most will never show up in Vintages or any other Category, so those are the only ways to get them. The big question is how much can I order? In the past to get unique products like this you needed an agent and had to purchase a case; but through POTW it’s a different story: Single bottle purchases can be made at the destination stores, and most POTW items are also available for purchase by-the-bottle online, with more selections to come in the future. Minimum order is $50 with free shipping to a store near you or a nominal fee for home delivery.